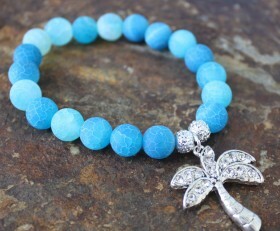 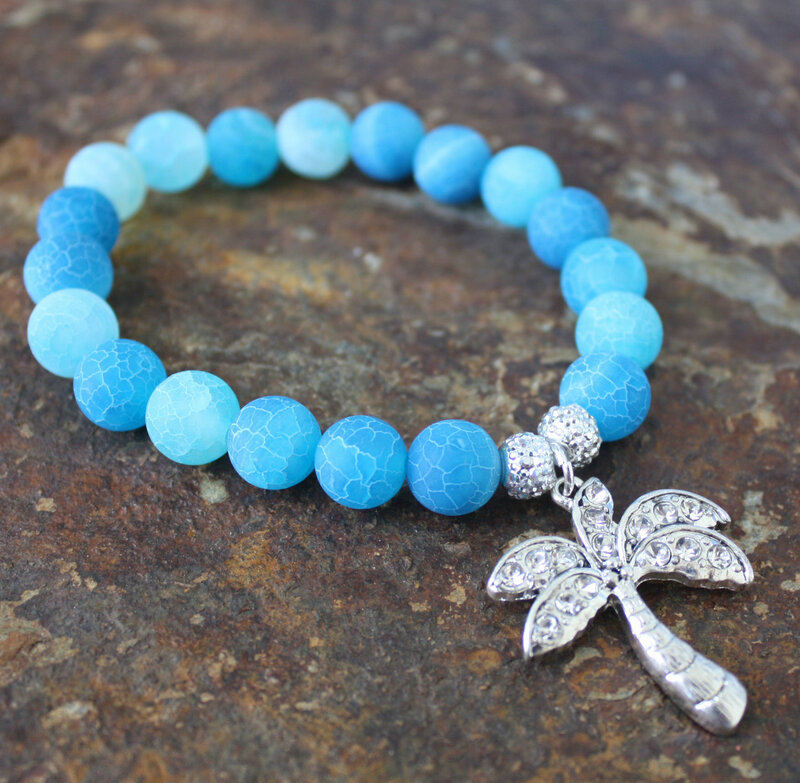 Beautiful blue fire agate beads the colors of the ocean along with a crystal palm tree and a touch of bling make this bracelet sparkle and one everyone will notice. 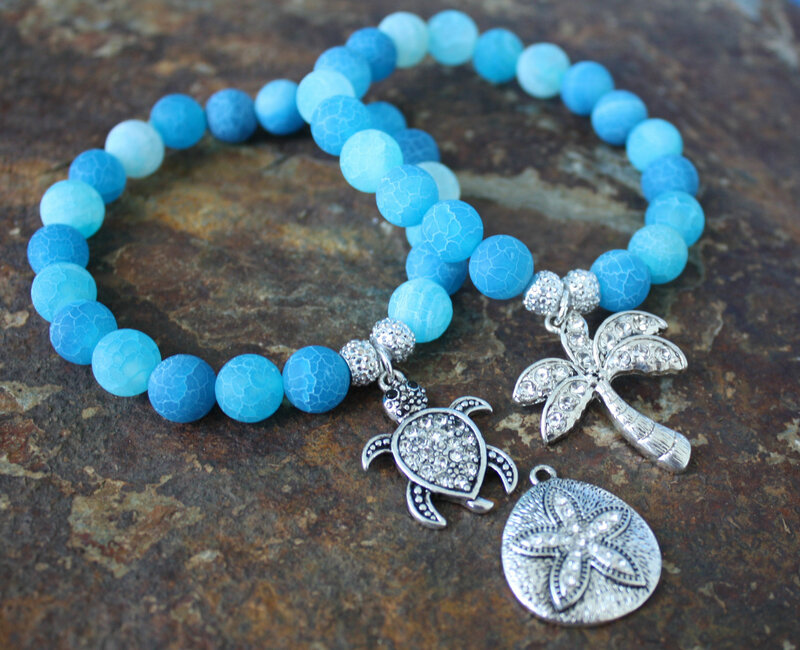 You can also choose a crystal turtle or crystal sand dollar instead of the palm tree. 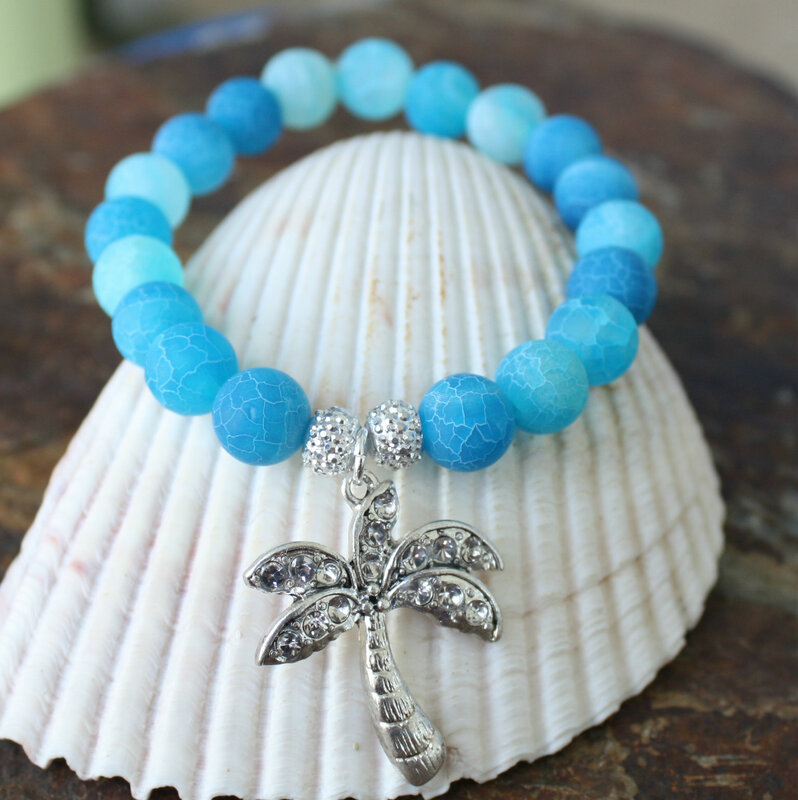 Categories: Beach Surf Sun Bracelets, Beach, Surf, Sun Jewelry, Beaded Bracelets, New.